This comes to us from Joey Shook. For a band that has been tirelessly pegged as “laid back”, Real Estate is quite the unassuming craftsmen. Over their past three albums, Real Estate has proven themselves particularly devoted to consummating a distinct indie guitar rock sound that has been slightly improved upon with each new album. 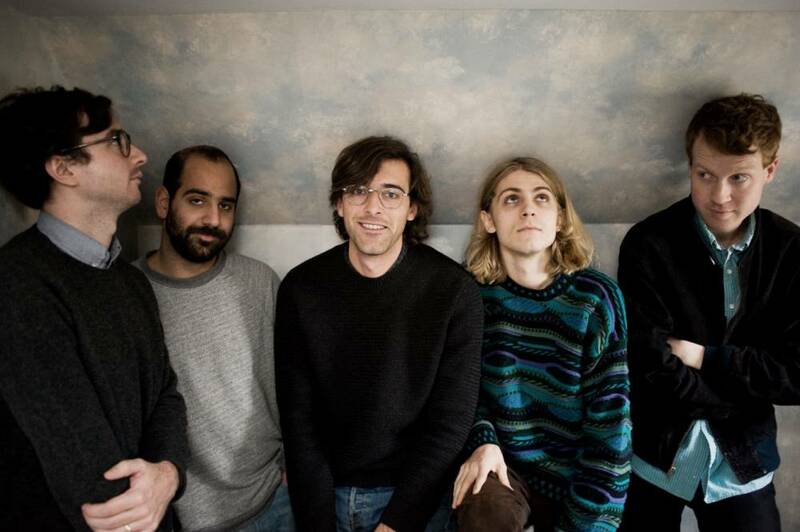 Others of their indie peers have successfully taken the perfecting-one-sound route (looking at you Beach House), but Real Estate has been the most deceptively offhand in honing their craft, which has led to initial reactions pinning them as nothing more than “chill out” music or, worse, boring. Their most recent album, Atlas, released earlier this year, further expands their distinct sound but also has them modestly pegged with a new descriptor for the first time: mature. Atlas unmistakably still sounds like a Real Estate album and, like the previous two albums, is guitar driven with their customary Built To Spill-lite guitar lines deceptively played with ease (just watch how guitarist Matt Mondanile makes the lead part look easy in the guitar lesson video for “Crime”). But there’s also a step up in production this time (the bass and drums are more pronounced) and a generous Americana influence, especially in the second half of the record. The beginning of “Horizon” sounds straight out of the Songs: Ohia/Magnolia Electric Co. songbook while “How Might I Live” — a ballad fronted by bassist Alex Bleeker that bemoans “How might I live to say you’re not the one I love?’ — is their most country song yet. Their knack for writing sprightly instrumentals that are among some of their best songs is no different this time around as well. “April’s Song” – a playful yet sad instrumental that contains some of the album’s most emotive guitar melodies – most succintly conveys the album’s mood in three and a half wordless minutes. As a band they also seem to be playing slightly looser than the concise pop template exuded on previous album Days with many songs on Atlas having lavish extended outros or codas. The lush slowed down coda of “The Bend” is one of the more stirring moments on the album. Thematically, Atlas is Real Estate’s most somberly wistful affair—a reflection on such “adult” themes as distance in relationships, struggles to communicate, and yearning for childhood homes. There’s been a distinct sense of nostalgia that has permeated their music in the past but gone are the beach parties, roman candles, and neighborhood pool hopping from previous albums – instead on Atlas centerpiece “The Bend” lead singer Martin Courtney now yearns: “Have I not been clear/Or do I sound insincere?/I’m just trying to make some sense of this/Before I lose another year”. On Atlas, for the first time, their nostalgic tendencies seem to stem from an increasing awareness of the seemingly mundane and troubling present. This tension between the past and the present is seen throughout Atlas. The anxiety of the present begins to cut through the endearing if not slightly embellished nostalgia seen on previous albums. Throughout, Courtney seems to be struggling with the uncomfortable truth of the constantly real and unembellished present showing its ugly face. He sings on “Past Lives”: “I cannot come back to this neighborhood/Without feeling my own age/I walk past these houses where we once stood/I see past lives but some how you’re still here.” This awareness of the present, at face value, seems either troubling or terribly ordinary. To Courtney, this present is sobering.